The words from Ratan Tata “We wish to sit in Taj & Marriot with elite people but we enjoy roadside tea with friends and with people we love” resonated well to me today while a leisure evening walks along with my wife and naughty boy tuktuk at a koramangala street. Tuktuk simply hates going to restaurants where he has to confine his world around table for three and eat without making noise and giving punches to his daddy. En-route to an ice cream parlor for tuktuk in the famous “Khaoo Galli” at the Jyoti Nivas college road – a street flooded with small and big eateries on both sides, we came across this kappi (coffee) shop. 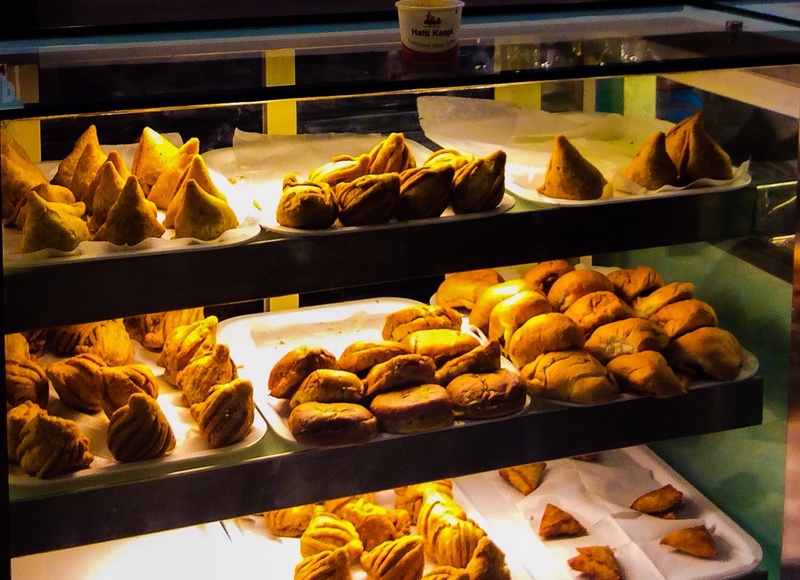 The coffee shop is an amalgamation of south and north India – bringing the best of traditional south Indian filter coffee and hot samosa, a popular north Indian snacks. Byte of samosa and sip of filter coffee while seating on a pavement under a tree was WOW moment. No air conditioned and WiFi enabled coffee bars can beat this experience that cost Rs. 30 per head. Previous Mavalli Tiffin Rooms (MTR) – a food voyage to nostalgia ! !